I am so excited about today’s post because it’s an important topic that’s been on my mind for awhile now: photos! I can write about writing all day long but the fact of the matter is, lifestyle brands need beautiful photos. Period. There are many other industries that can get away with using a photo here and there, but in the fashion world, your readers want to see pretty pics. 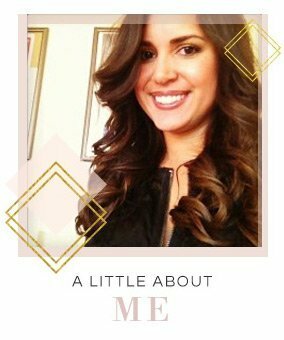 Got a beauty biz? Yup, your customers want to see all the pics. Same goes for those with bridal or lifestyle businesses. Your photos need to be on point. 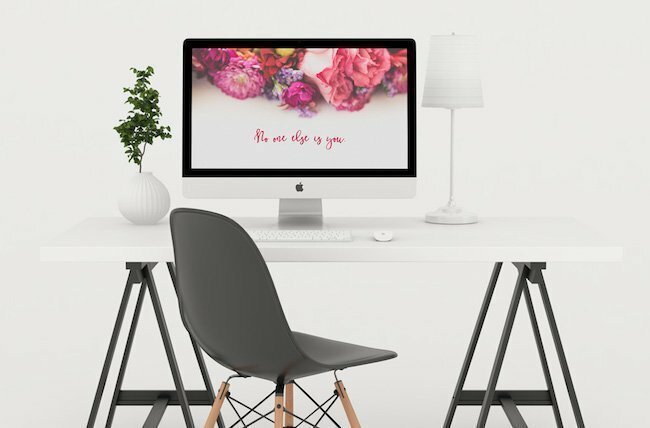 So today, I brought in an expert to share five creative ways to use stock photos for your brand…..AND she’s even including some gorgeous stock photos for you to use as well! 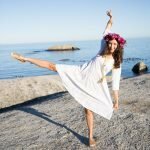 Nora is the founder of The Photo Forest, a beautiful stock photography site launching this October. 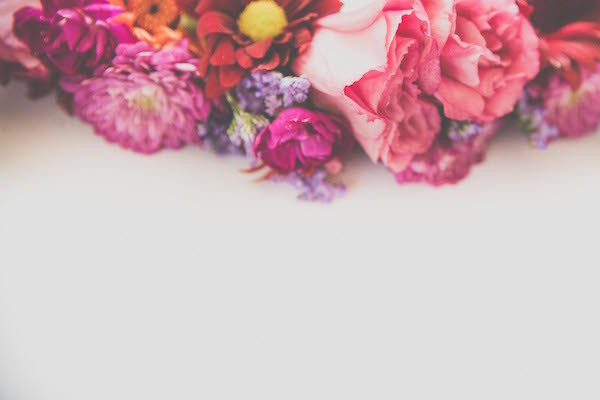 Here she shares some pretty creative ways on how we can use stock photography in our business. There is so much more to using stock photography in marketing your business than plonking a photo as your Facebook cover photo or using it in a banner on your website. I want to give you some practical tips on how to use stock photography in your business so that customers don’t even realize the photos are stock! Before I show you some creative ways to use stock photography let’s talk about searching for stock photos. There’s a reason why you’re looking for a particular image, right? Maybe it’s for a blog post on fall fashion trends, or perhaps you need something to promote your upcoming holiday sale on Facebook. While it’s best to take your own photos if you can, that’s just not real life. We’re not all photographers, and we don’t all have that kind of time. Enter stock photography—made specifically for the purpose of providing you with images that you can use commercially to market yourself or your business. Now, stock photography comes in an avalanche of different qualities and photographic matter that is both the bane and the beauty of it. What do I need the stock photo for? What emotions am I trying to convey? These three questions will give you an idea of the type of image you should be looking for, the last question in particular will give you a list of keyword search terms that will help you find that beautiful stock photo. The key to using stock photos is in HOW you use them. Here are five creative ways that you can use stock photography in your business. The majority of people I know have some form of an email signature, for some it’s just text with some links and for others it’s a bit more fancy! Why not include a stock photo in your email signature to attract some more attention? I can say that most invoices I have seen to date are pretty plain Jane. Spruce up the look of your invoice by adding a beautiful stock photo in the header or as a faded background image. 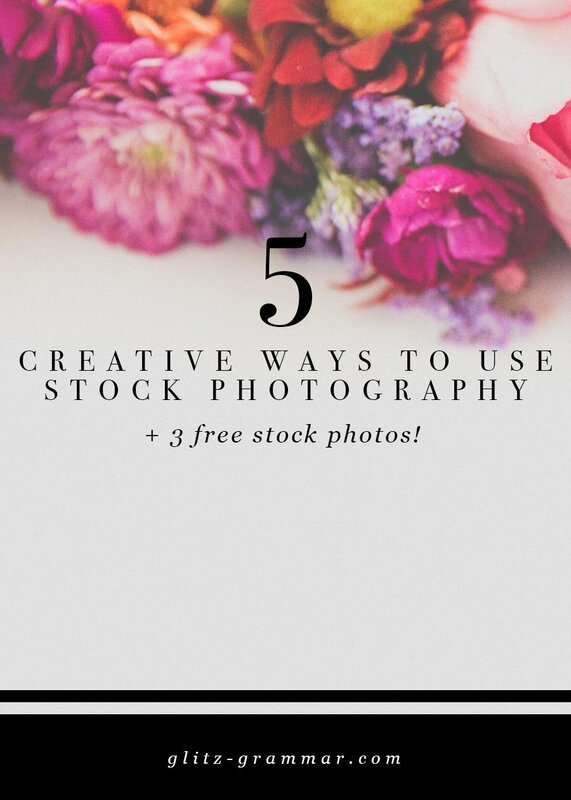 5 creative ways to use stock photos so they don’t look like stock! Did you know that you can use an image with a link as a button on your website? This means you have endless possibilities of choosing that perfect image (don’t forget to keep in mind what you’re trying to convey!). 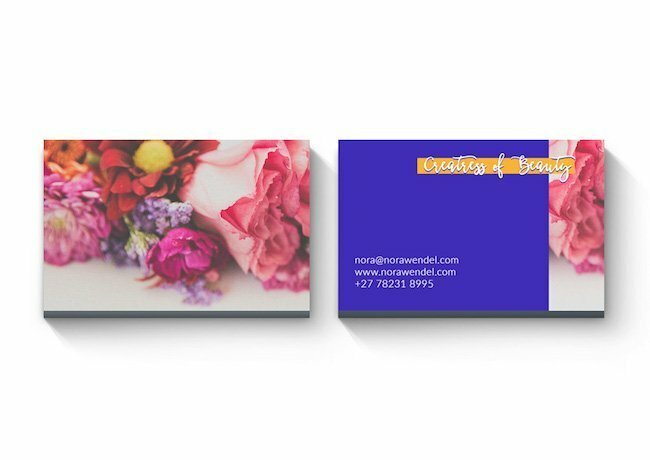 Putting a relevant stock photo on your business card can make it more memorable. After all, we’re visual creatures more likely to remember a photo than a name! Personalize your desktop by adding a stock photo that reminds you of one of your goals. The plus side of this is that you get reminded of your goal multiple times per day when you work on your computer! How do you like to use stock photos for your business? 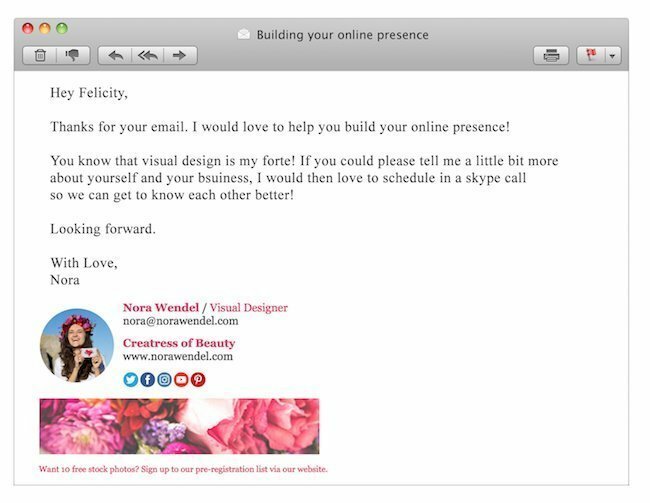 Nora Wendel calls herself a “Creatress of Beauty” and runs an online design agency for #fempreneurs who are ready to beautify their businesses. This October, she’s launching The Photo Forest: the world’s first community-driven stock photography website where members request the type of images they need. She is on a mission to bring back #SexyStockPhotos and to revolutionize the stock photography industry. Sign up to the pre-registration list and get 10 beautiful REAL LIFE stock photos instantly! Thanks for stopping by, Shazie! Glad this helped and good luck on the blogging!